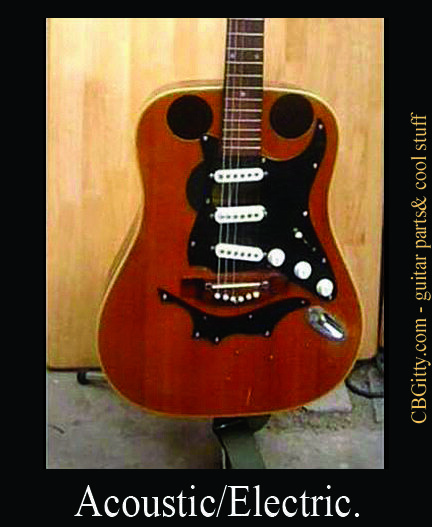 Fun Stuff | The How-To Repository for the Cigar Box Guitar Movement! Shane Speal shows how to play AC/DC’s Thunderstruck and other shred guitar licks using his 1-string lead technique. In this Cigar Box Nation TV episode (originally broadcast August 18, 2016) Glenn Watt and Ben Gitty talk about the importance (and value) of failure as a necessary part of the journey towards success, and Farley shows off some of her favorite failures (successes-to-be). It’s Bowmageddon – Gitty Goes Crazy With a Violin Bow! 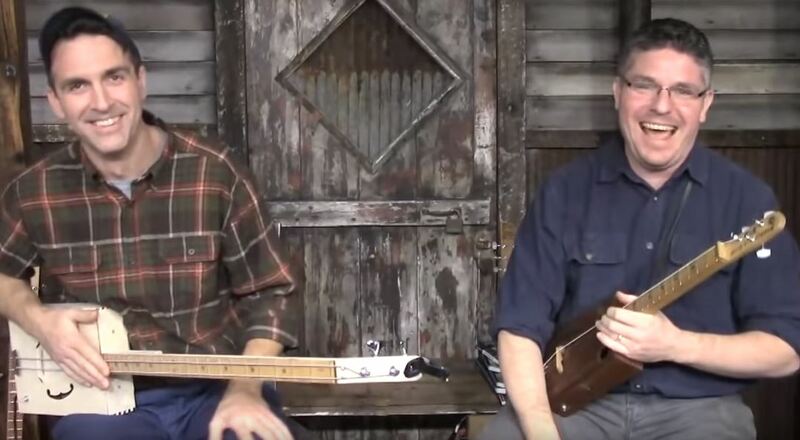 Cigar Box Nation TV – The BOWING Episode!In this episode of Cigar Box Nation TV, Ben Gitty attacks pretty much everything he can find with violin bows… from a dulcimer (it’s still Dulcimer Week here on CBN TV!) to a one-string Vaudeville fiddle, a one-string gutbucket bass to a banjo… and then it gets weird: metal trash can lid, steel dust pan, and even a 21″ brass cymbal! Other highlights include a cover of A. J. Gaither’s song “Last Free Exit” (complete with kazoo solo), a replay of Shane and Ben discovering the HORSE FIDDLE in a museum in York, PA and more! Shane Speal performs his jazzy acoustic version of the Beatles’ classic, Norwegian Wood. He’s using a simple 3-string side cigar box guitar, the same one he’s been performing with since 1996. …and no, we don’t have TABs for this yet. Maybe somebody should get on that. Cigar Box Nation member, Bairfoot Cajun is one of the more adventurous builders in the homemade instrument movement. This double neck cigar box guitar features biscuit tin bottoms under the bridges, which deliver a great dobro-like sound. Also note the different scale lengths he uses for each neck. 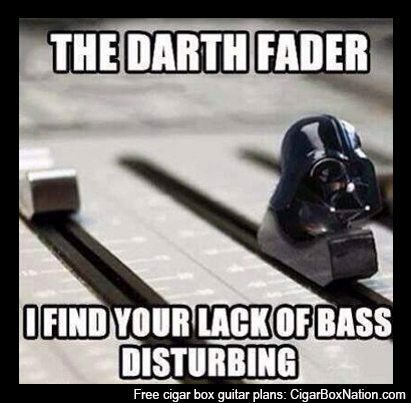 Cigar Box Nation’s Facebook page continues its daily guitar meme postings. Here’s some of the best. Ok, so he didn’t spell Garfunkel right, but he did get Led Zeppelin correct. 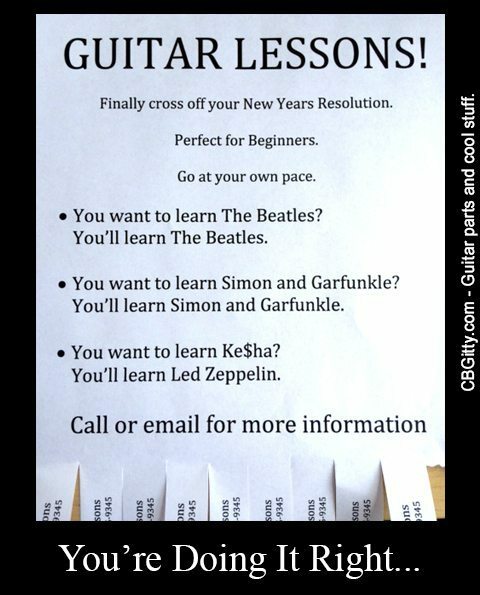 So what would the equivalent for “Cigar Box Guitar Lessons?” Let us know in the comments.